This is a response to the comment by the Government on my interview, published by the on Wednesday 12th July. The comment is entirely inaccurate and misleading. The “factual details” are far from factual. Facts are ignored, distorted or misrepresented. 1Submission to Jurisdiction of the International Criminal Court. The Government statement declares that “The Bill does not provide for jurisdiction of the International Criminal Court (ICC)”. This is false. The truth is that, once the Bill is enacted into law, a member of the Sri Lankan Armed Forces, or indeed any citizen of Sri Lanka can find himself hauled up before the ICC. The Bill is described in the Gazette of 9th February 2017 as “a Bill to give effect to the International Convention for the Protection of all persons from Enforced Disappearance”. Article 9(2) of the Convention states in explicit terms: “Each State Party shall take such measures as may be necessary to establish its competence to exercise jurisdiction over the offence of enforced disappearance when the alleged offender is present in any territory under its jurisdiction, unless it extradites or surrenders him or her to another state in accordance with its international obligations or surrenders him or her to an international criminal tribunal whose jurisdiction it has recognized”. Take the case of a member of the Armed Forces of Sri Lanka, present at any time in the territory of a State which is a party to the convention. Once that person is arrested by the foreign country for the offence of enforced disappearance, that country is specifically given the power to surrender him to an “International Criminal Tribunal” (the ICC is undoubtedly such a tribunal) when jurisdiction “it (that is, the foreign state arresting the Sri Lankan military officer) has recognized”. This is the text of the Convention the present Government of Sri Lanka has signed and ratified. A Sri Lankan military officer, against whom there is no evidence but only an allegation, would thus face the ICC. Is the Government speaking the truth when it denies this plain fact? This effect of the convention is further reinforced by Article 11(1) which provides as follows: “The State Party in the territory under whose jurisdiction a person alleged to have committed an offence of enforced disappearance is found shall, if it does not extradite that person or surrender him or her to another State in accordance with its international obligations or surrender him or her to an International Criminal Tribunal whose jurisdiction it has recognized, submit the case to its competent authorities for the purpose of prosecution”. Why does the Government seek to deceive the public by concealing this provision by which it is bound? Section 8 of the Bill now before Parliament has the effect that, on a mere request by a foreign state, or on behalf of a foreign state, the Government of Sri Lanka may be obliged to extradite a member of the Armed Forces, or any Sri Lankan citizen, accused of the offence of enforced disappearance. The reality that extradition is seriously contemplated is manifested by sections 10 and 12 of the Bill, which purport to modify Sri Lanka’s Extradition Law, No. 8 of 1977, to the detriment of the Sri Lankan military. For example, significant protection conferred by the existing law on an accused person whose extradition is sought, is removed by section 13 of the new Bill. The position, then, is crystal clear. The foreign country demanding the extradition or having custody of a member of the Sri Lankan military has three options: (i) It can try the accused in its own courts; (ii) It can surrender the accused to a third country for trial; (iii) It can surrender the accused for trial by an International Criminal Tribunal like the ICC. No wonder, then, that the United States, the United Kingdom, Canada and Australia have refused to sign the Convention at all. India signed in 2007, but has not yet ratified for 10 years. The Convention is, therefore, not operative in India. The situation is the same in Scandinavian countries including Norway. What do these countries owe their Armed Forces, in comparison with Sri Lanka’s own debt to its military? Is the Government being candid with our people by refusing to acknowledge the extreme peril to which this Bill exposes our military? Why did the Government feel a compelling need to sign and ratify the Convention within 4 months? Was it not a pay-off for promises made at election time? Resolution 30/1, co-sponsored by Sri Lanka at the Human Rights Council, committed the Sri Lankan Government to “Commonwealth and other foreign judges” (Operative Paragraph 6). 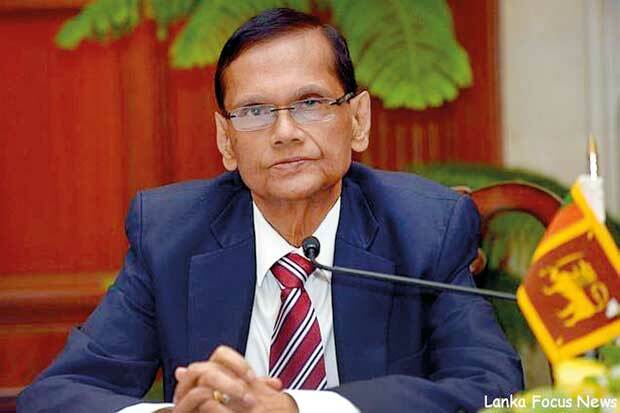 Confronted with the strongest opposition imaginable, the Government sought to renege on this solemn undertaking and declared, in shrill tones within the country, that no foreign judges would be permitted in Sri Lanka under any circumstances. Amazingly, however the Government is now happy to agree to Sri Lankan military personnel being extradited for trial in foreign courts or the ICC, rather than foreign judges coming to Sri Lanka to try them. Does the Government believe for a moment that this is a gentler, and preferable, fate for our military? 3 What kind of Convention has the Government Ratified? The Government statement is a model of obfuscation. It deals with everything except what matters. In the summary it is stated that “The objective of the Bill is to ensure that enforced disappearances do not occur”. No one denies that enforced disappearance is a heinous offence and if it has occurred, must be visited with deterrent punishment. What we object to, however, with all the vehemence at our command, is the Government’s cowardly action in agreeing to hand over our military personnel to foreign courts and International Tribunals for trial. This is to be done under a Convention which unabashedly declares: “For the purpose of this Convention, ‘enforced disappearance’ is considered to be the arrest, detention abduction or any other form of deprivation of liberty by agents of the State or by persons or groups of persons acting with the authorization, support or acquiescence of the State” (Article 2). The only parties to be proceeded against are the State, its officials and its organs. There is no corresponding obligation to deal with terrorists. One can hardly conceive of a more one-sided approach; but the Government is obviously happy with it. What is more, the Bill giving effect to this Convention is given a degree of sanctity almost comparable with the Constitution: all Sri Lankan laws that conflict with its provisions, are swept aside to the extent of inconsistency (Section 23). 4 Does the Bill not apply to the war against the LTTE? The Government repeats ad nauseam that this obnoxious Bill applies exclusively to the future, and has no application whatever to the war which ended in 2009. This strains credibility beyond all limits. Resolution 30/1 of 1st October 2015, which was passed unanimously by the Human Rights Council because of Sri Lanka’s co-sponsorship of it, explicitly deals with the past and imposes on the Government of Sri Lanka strict obligations to take concrete actions with regard to the past. For instance, the preamble emphasizes “the importance of a comprehensive approach to dealing with the past, incorporating the full range of judicial and non-judicial measures, including individual prosecutions”. Furthermore the preamble specifically calls for “mechanisms to redress past abuses and violations”. Operative paragraph 4, in terms, “Welcomes the commitment of the Government of Sri Lanka to undertake a comprehensive approach to dealing with the past” and unequivocally refers to an Office of Missing Persons as one of the initiatives required of the Government of Sri Lanka. Other initiatives include a Commission for Truth, Justice, Reconciliation and non-recurrence. All these obligations obviously relate to the past, not to the future. The preamble to the Bill states that “It has become necessary for the Government of Sri Lanka to make legislative provision to give effect to Sri Lanka’s obligations under the Convention”. Legislation is now being brought before Parliament to fulfil, one by one, these obligations which are specifically linked to the past by the terms of the Geneva resolution. In fact Special Rapporteur Ben Emmerson just a few days ago found fault with the Government for doing very little by way of fulfilment of these pledges. Can anyone in his senses be persuaded to believe that this entire sequence of events addresses offences, to be committed hypothetically at some indefinite time in the future by the next generation, rather than the specific allegations directed by Sri Lanka’s critics against our military personnel during the period spanning the closing phases of the war? Moreover, from a technical standpoint, the Bill makes it clear that it does apply to the past. The wording in Section 8 is that “Where a request is made to the Government of Sri Lanka for the extradition of any person accused of the offence” of enforced disappearance, the procedures stipulated in the Bill will become operative. The crucial date, then, is the date of making of the request by or on behalf of a foreign government. Since this date will obviously be subsequent to the enactment of the Bill, the circumstance that the disappearance occurred prior to enactment, will make no difference whatever to the applicability of the Bill. I dismiss with contempt the Government’s patently insincere and implausible contention against retroactivity. However, to confront them on their own premise, would any self-respecting Government deliberately resolve to submit its Armed Forces to foreign jurisdiction in this way even for the future? Why have other governments steadfastly refused to do so? How does a policy repugnant for the past become acceptable for the future?